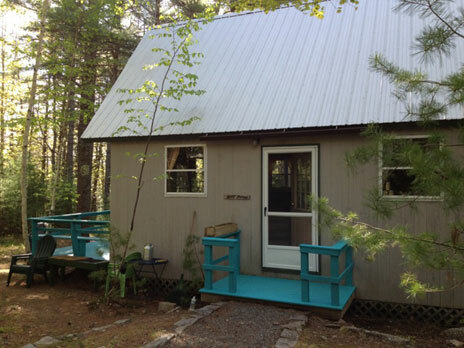 How fun to stay in a cute little cabin tucked away in the woods on two acres of very private land! Tall Pines is a rustic (but with plenty of amenties) little a-frame cabin in the village of Hall Quarry, just 8 minutes to downtown Southwest Harbor, 15 minutes to downtown Bar Harbor. 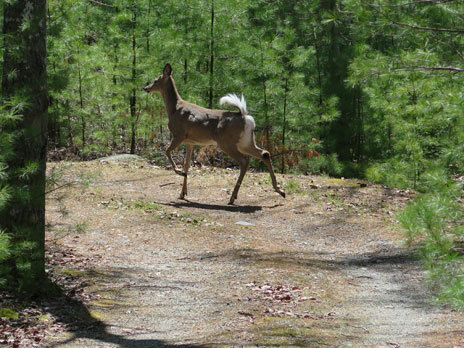 It's also just a mile from Echo Lake, and several Acadia hiking trails. Enjoy being situated among the tall pines, birch and spruce trees (as well as several deer) and the peace and quiet that commuing with nature brings! There are two bedrooms in the cabin: a king bedroom on the first floor, and a loft bedroom on the second floor with two double beds and a rollaway twin. On the first floor there is a living room with a toasty propane fireplace, dining area, kitchen and full bathroom. There is a wonderful spacious deck to enjoy your own "great outdoors"! Amenities include a gas BBQ grill, outdoor furnishings, one TV for use with DVD player (no broadcast), WIFI (satellite, limited usage), iPod dock, microwave, parking for 2 cars. Note: there is a landline phone as cell service is not very good in Hall Quarry. Sorry, no dishwasher or washer/dryer. Click here for a more complete list of household items/ amenities. Bar Harbor and Acadia National Park offer visitors lots to do! Hiking, biking, kayaing, golf, tennis, boating, nature walks, beaching, deep sea fishing, whale watching, museums, shopping and, of course, terrific dining choices. And don't forget: the best lobster comes from here!